The March equinox signaling the start of spring happens at the same moment across the world, but this year it falls on March 20 at 5:45 p.m. The March vernal equinox occurs when the Sun crosses the celestial equator on its way north along the ecliptic, marking the start of the season. The Farmer’s Almanac forecast the April and May will be warmer and more rainy than normal on average for Texas and Oklahoma. •According to superstition, today is the only day you can stand a raw egg on its end. •Ancient Egyptians built the Great Sphinx to point directly East toward the sunrise on the vernal equinox. Stonehenge and Chichen Itza in Central America, also alight with the sun’s movement. •Stonehenge in England also marks the position of the rising sun on the vernal equinox. •In Central America, the ancient Mayans built Chichén Itza to align with the sun’s movement on the equinox. While the sum moves across the sky, the pyramid’s shadows look like giant serpant slowly moving down the stairway. 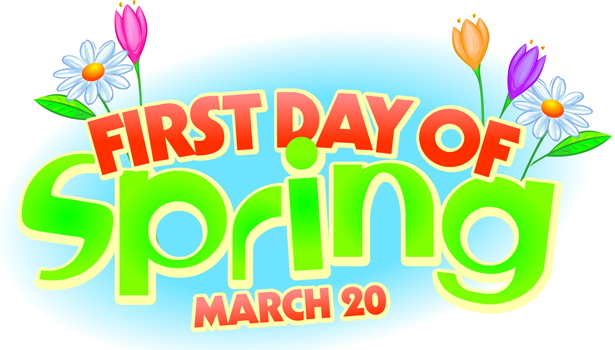 •To many cultures around the world, the vernal equinox signals the time to start planting crops.